End-of-semester stress? We can help! Spaces full? Need a change? Our interactive map shows spaces all over Grounds! Take a look. Ask a question, any question. Let us help! 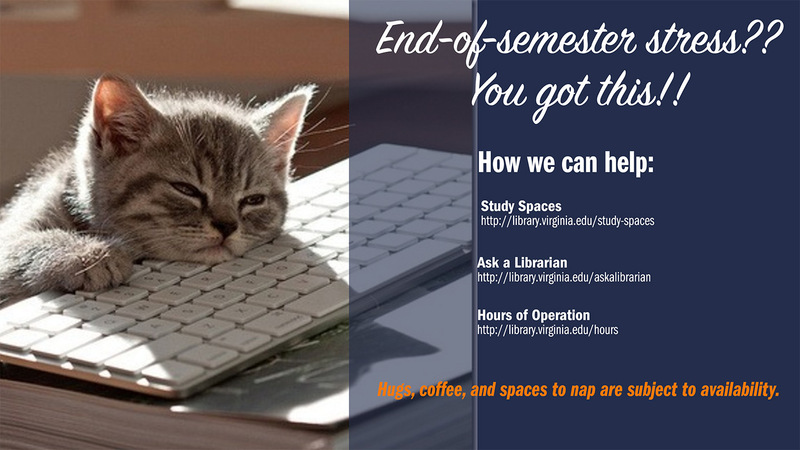 Did you know there are more than 9 Library locations at UVA? Try something different, find your favorite! This entry was posted in Uncategorized by Amber Reichert. Bookmark the permalink.